You just adopted a kitten. You want to live with him many years of shared tenderness and bring him everything he needs. You may already know, or you may feel confusedly, that this little ball of hair contains great mysteries and you are right! First of all, a cat is not a little dog! If our two most familiar animals share the characteristic of being carnivores, their behaviors are very different. And to make a cat happy, you have to respect its peculiarities. One of the first points to check is the level of socialization of the kitten. A very simple and very useful test is (delicate) holding by the skin of the neck by lifting the kitten from the ground. A well-socialized kitten will respond to this manipulation by curling up with the tail rising under the belly and the glassy look. This is called a positive carrying reflex and this reaction makes it possible to know that the kitten had remained in with his mother for a long time to be able to socialize properly. If, on the other hand, the suspended kitten begins to scream outwardly and arches its body in a hyper-extended position, then its level of socialization is extremely low. 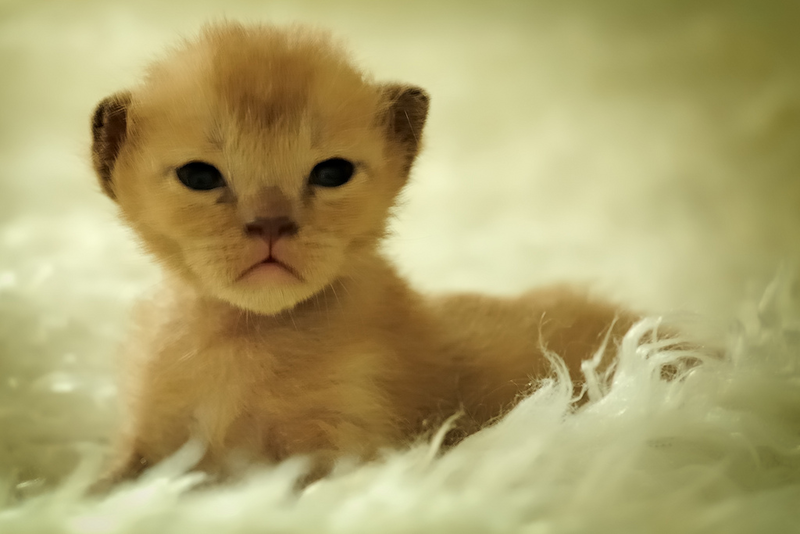 If you check this reflex several times, and if you have decided to keep this kitten, do not hesitate to speak to your veterinarian who can help improve the tolerance of your new friend. For cats, the capacity to socialize will depend on how long it spent as a kitten with mother and the level of socialization of the latter. 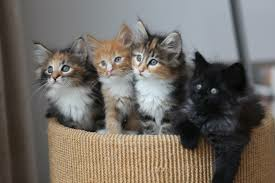 The development is much faster than in dogs and where it takes about six months for a dog to acquire autonomy, six weeks are adequate to forge the future balance of the kitten. Obviously, everything is not lost and it is still possible to increase the socialization at the usual age of adoption, that is to say towards two months. But it should not be forgotten that a cat is not a socially obligated individual and some wildcat cats (they are called hare cats) are able to spend their lives without social interaction. In the life of a cat, the first period of attachment is primordial, and to live harmoniously with humans, it must retain that ability to be attached which is a juvenile characteristic. If the quality of this first link allows him to feel at ease with all humans and often with the other animal species that he can be brought to meet (dogs, ...) then your cat is ready and happy to live with your company. Otherwise, he will tolerate one or a very few people and will hide as soon as a stranger is in the vicinity: the unknown will always worry him but your presence will reassure him. This is the difference between a social cat and a cat only familiarized. 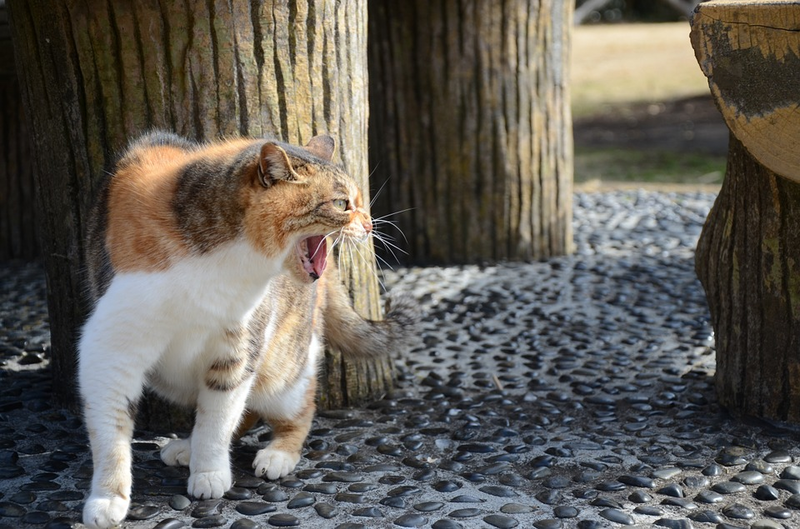 If this lack of socialization makes your cat aggressive, do not hesitate to consult a vet. As part of her mission, the mother teaches the kitten "self-control", that is, the ability to regulate and coordinate his movements, the action of his teeth and claws. A well educated kitten will always avoid any sort of touching the face for example during the games where it can be brought to scratch. If your kitten has not yet acquired this ability, you must teach him and for that of course you must use behaviors he is familiar with. What is classically recommended for the dog (catching by the neck skin or immobilization to the ground) gives no result for the cat. Observing a mother with her kitten allows us to spot two ways to correct a kitten by mimicking the mother’s way of correction: the cat mother gives paws, retracted claws, on the muzzle of the kittens when they lose their control. You can mimic this by finger-blowing the kitten's snout dry enough to interrupt an undesirable action without risking hurt him. If the kitten is very turbulent, it happens that the cat blocks it between its anteriors and plows the belly with its hindquarters. Again, holding the kitten lying on the side of one hand and clawing the abdomen with the other hand, you must be able to get inhibition of any movement. If the cat is not necessarily a social animal, it is always a territorial animal. His emotional balance will depend on the harmonious structure of his territory and the feline organization is very particular and far enough away from the human or canine notions of territory. A cat will share its territory in several places to which are assigned different functions. The isolation field corresponds to the place the cat does not wish to share or only with extremely familiar individuals and if he chooses to. It is often a place located in height that allows the animal to feel completely safe. Fields of activity can be common and are assigned to a specific activity (bird watching, hunting, playing, feeding ...). All these fields are connected by paths that are always the same and are drawn by means of cat pheromones. When you see a cat rubbing against furniture, it deposits familiarization marks. This very strict and very particular organization is necessary to the emotional balance of a cat. This has practical consequences when adopting a kitten. From the first day he must be given a field of isolation; that is, a place where no one will disturb him when he sleeps. It is natural for the children of the house or for the dog to want to make contact with this newcomer but to ensure a healthy environment, he must have a place of his own that he will then perhaps decide to change. Do not systematically remove the marks the cat rubs in his new place. It is very important for him to recover his pheromones under pain of developing an anxious state. This reputation is very firmly anchored and the disappointment is all the more keen for an owner who has a messy cat. To avoid this, certain precautions must be taken. The elimination field must have certain properties and if some are obvious, practice shows that they are not always respected. The box containing the litter must always be accessible, especially at night. It should not be forgotten that cats are nocturnal animals. By dint of living with humans, they get used to day activities but can retain moments in the night when they go to certain business of theirs. The place chosen must allow the cat to be able to eliminate in quietude. If children play in the same room or if the dog can sniff the cat while it is in the litter, the conditions will not be optimal and there may be some odds. The litter must be changed very often. Some cats refuse to use a litter already used, even once. Finally, we must not confuse uncleanliness and marking. Some cats do urine marking and the sequence is very characteristic. The cat remains standing on its legs (it does not crouch as if to eliminate) and it sends streams of urine on vertical supports. This is very characteristic of a cat whose territory is disturbed and which does not regain its familiarization marks. In case of mess, elimination or marking, the simplest and most effective way out is to consult your veterinarian as soon as possible. He will be able to tell the difference between possible hypotheses and propose a solution. The earlier the diagnosis is made,the better the result. And if that happens to you, do not grieve; despite its reputation as a clean animal, an investigation revealed that 30% of cats were unclean at some point in their lives. No doubt more naturally predatory than the dog, the cat needs to play by mimicking hunting and predation. The puppy prefers social games while the kitten spends hours pursuing prey on paper or stuffed animals. 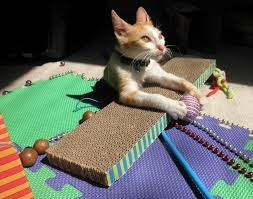 Bear in mind that through games, you have more chances teach your kitten to control himself. It is through playing that he learns how to control his bites and his claws and to respect certain parts of your body. But it is also necessary to provide the kitten with numerous opportunities to play the hunter. The lack of stimulation and the deprivation of imaginary prey can cause the animal to attack the only moving parts of its environment that will then be the feet and hands of the owners. If you have this problem, especially if the cat is in a favorable environment, do not hesitate to talk to your veterinarian.